In a world hallmarked by consumers constantly craving new gadgets, the fashion industry seems to be going in a different direction. 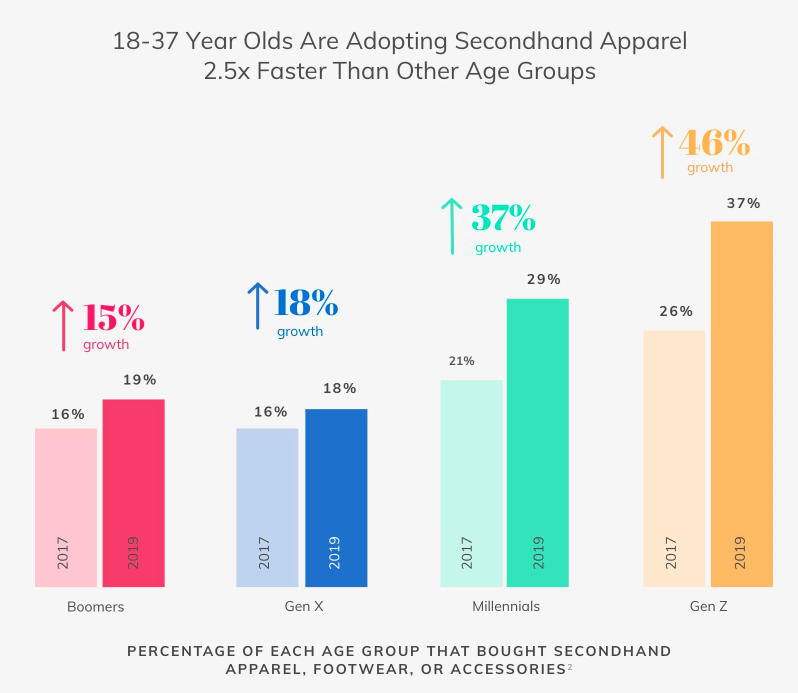 The second-hand clothing market in the United States has grown 21 times faster than retail sales of new clothing over the past three years. Have you ever wondered how much the second-hand clothing industry is worth? In America, it is in excess of US$ 24 billion (EUR 21 billion) and the market is expected to reach US$ 51 billion (EUR 45 billion) by 2023, according to data compiled by ThredUP, the world’s largest online thrift store. This has been called the ‘golden age’ of second-hand shopping. ‘There are more second-hand shoppers than ever,’ the company reports. More than 65 million pieces of used clothing have been ‘upcycled’ via its online marketplace since 2014. Some 21 million units were sold last year with sales for the previous two years at 17 and 15 million units, respectively. This is a huge leap from the four million pieces sold in TredUp’s first year. Moreover, the second-hand fashion market is projected to grow to become nearly 50% bigger than the ‘fast fashion’ market by 2028. 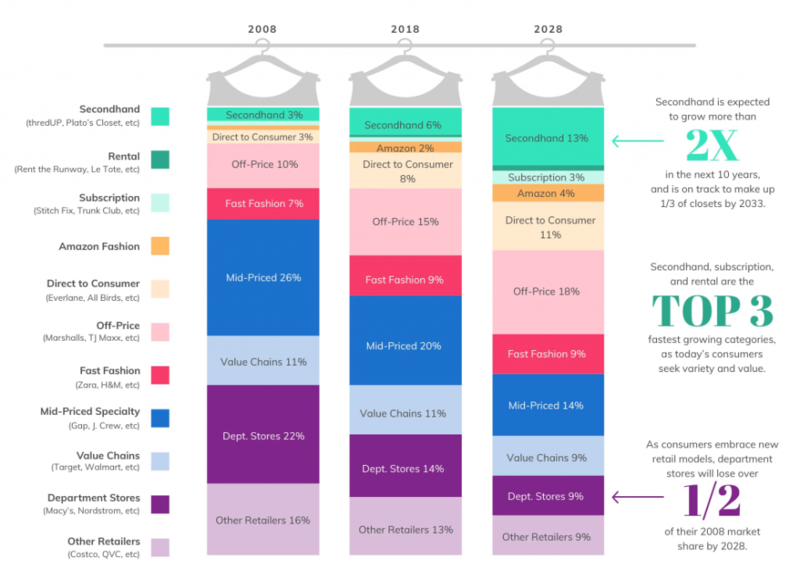 TredUp points out that ‘the equivalent of one garbage truck of textiles is landfilled or incinerated every second.’ It cites market data saying that 26% of ‘luxury shoppers’ purchase used clothes these days rather than new designs by couture brands like Gucci, Chanel and Prada. ‘By helping to increase the use of clothing, resale can play a key role in making fashion circular,’ comments Francois Souchet, circular fashion specialist at the Ellen MacArthur Foundation. ‘Raising the average number of times clothing is worn is the most direct way to design out waste and pollution and capture value,’ he adds.